London : Viral respiratory tract infections like the common cold, flu, tonsillitis, bronchitis and pneumonia during the first six months of life are likely to increase the risk for type 1 diabetes in children, says a new study. The findings suggest that the first half-year of life is crucial for the development of the immune system and of autoimmune diseases such as type 1 diabetes (T1D). “Our findings show that viral respiratory tract disorders during the first six months of life significantly increase the risk of children developing type 1 diabetes,” said one of the researchers, Andreas Beyerlein, from Helmholtz Zentrum Munchen in Germany. The study included 2,95,420 infants of whom 720 were diagnosed with T1D over a median follow-up of 8.5 years for an incidence of 29 diagnoses per 100,000 children annually. At least one infection was reported during the first two years of life in 93 per cent of all children and in 97 per cent of children with T1D. 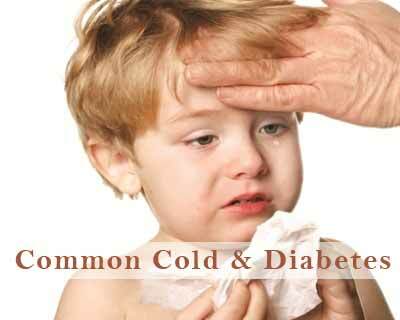 Most children experienced respiratory and viral infections. T1D risk was also found increased among children who experienced a viral infection between birth and 5.9 months of age.